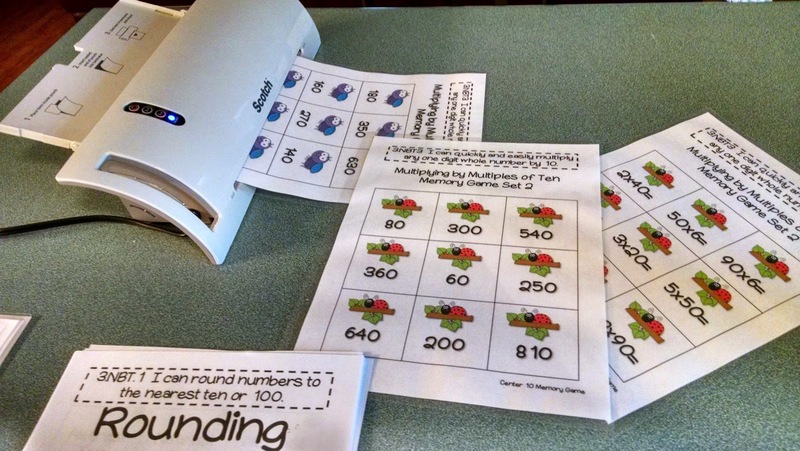 Who doesn't want SIMPLE set up math centers for their classroom? These math centers were created with you in mind! The centers involve matching cards with answers to the corresponding problems. A recommended way to set this up is to use file folders. One page can be glued down and cards on the other page are cut up to match. You can also use these centers as memory games as well as interventions. EASY set up math centers covering EVERY third grade common core standard. Here are some pictures of me getting my first centers ready for the beginning of the year. I love this personal laminator I purchased it this summer! You can get the laminating pouches in bulk on Amazon. It has come in handy so many times already. It's way more convenient than firing up the big laminator at school. Also, the laminating pouches are very thick, so you can put a piece of paper in it, and it comes out feeling sturdy like cardstock. Here is Rounding Center Number 1. I cut out all of the game cards so this can be used as a matching game or a memory game. You could also laminate one sheet to a file folder, and just cut out one set of the cards to match. If you do that you can laminate the answer key to the back of a file folder. I decided to cut up my answer key and put it on a ring. Here's a picture of how that turned out. Please note that not every center includes an answer key. I intended for most of them to be self checking and I plan to put matching stickers or symbols on the back. See the free accountability download at the end of this post for more information about how you can make sure your students are really working. I also plan to use my math centers as interventions this year. For even MORE ideas of all the different ways these centers can be used in your classroom, check out this post! They are very versatile! 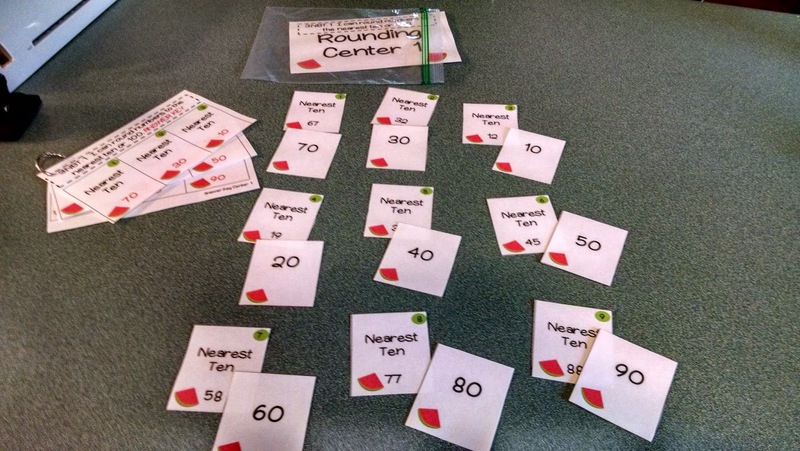 These centers also go hand in hand with my Guided Math Bundles! 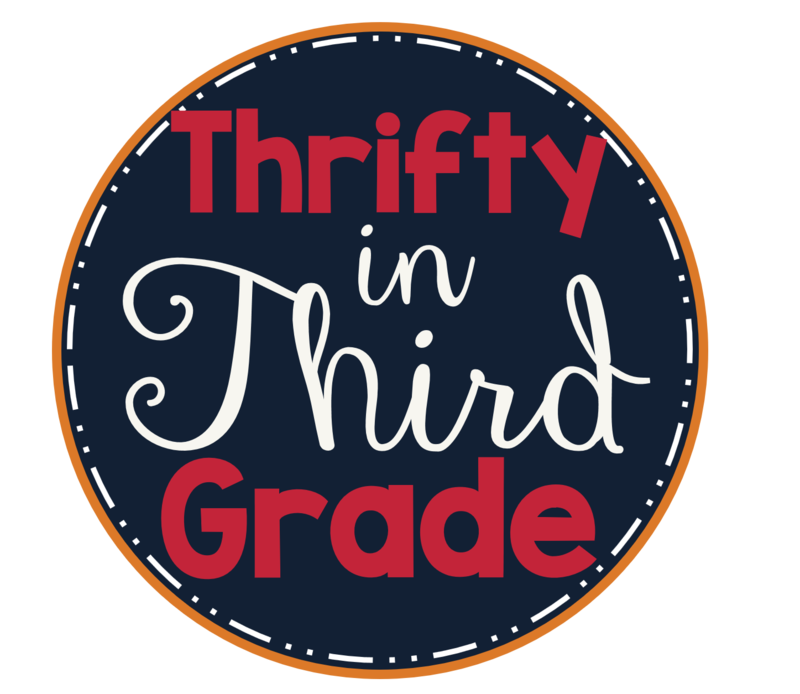 (Available for 1st through 5th grade!) 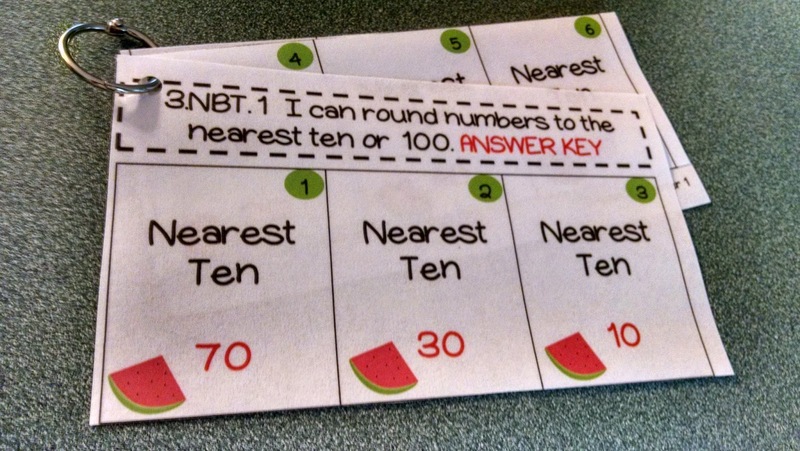 They are a great addition to the lesson plans included with Guided Math. Are you wondering how you can hold students accountable for their learning while using these centers? Check out this free download: Guided Math: Student Accountability.